What's the most popular plastic surgery procedure in NY? 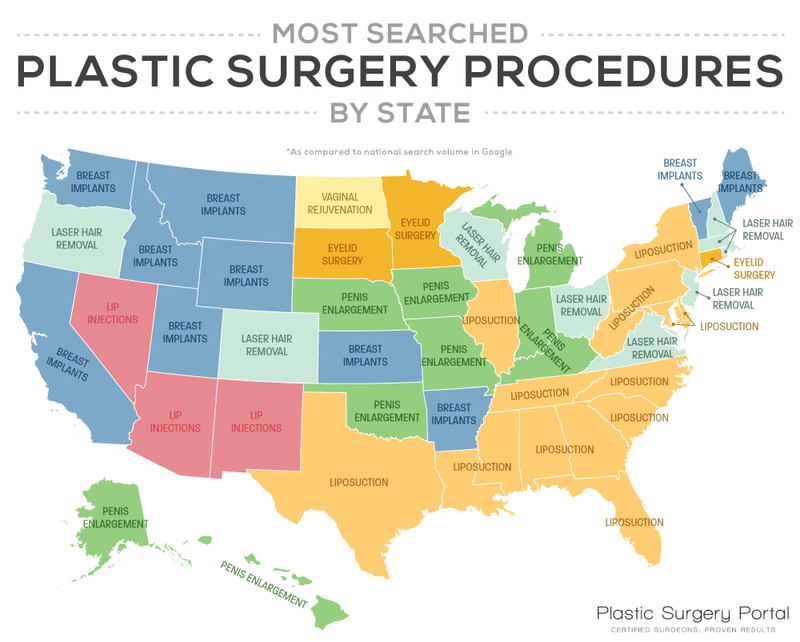 In New York, the most searched for procedure is actually liposuction. Residents of New Jersey search more for laser hair removal. Search trends seem to have regional popularity. The South searches most for liposuction, while the Midwest is looking more for male enhancement, and the West is searching for breast implants. Have you been searching for information about liposuction or another plastic surgery procedure? Now is the time to stop searching and take the first step toward a better you. At Allure Plastic Surgery, we can answer all of your questions, listen to your concerns and goals, and help you achieve the results you want with the right plastic surgery procedures. Call Allure Plastic Surgery today at (212) 661-2563 to schedule your consultation with one of our experienced New York plastic surgeons. We welcome patients throughout New York City, Manhattan, and Long Island.